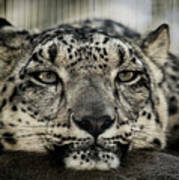 There are no comments for Snow Leopard Upclose. Click here to post the first comment. 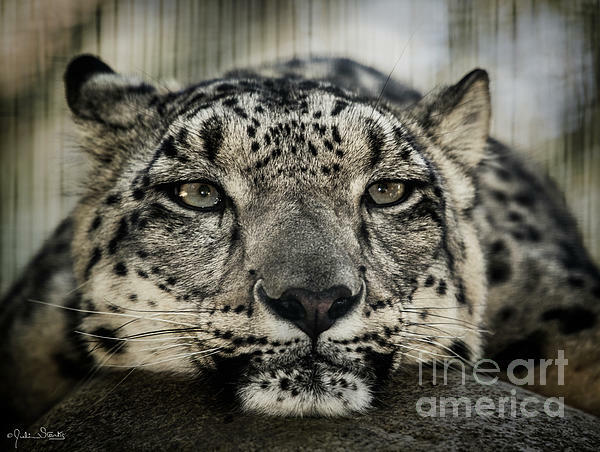 The snow leopard or ounce is a large cat native to the mountain ranges of Central and South Asia. 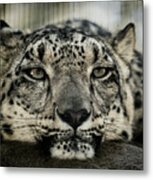 There may only be between 3,920 and 6,390 SNOW LEOPARDS left in the wild of the rugged mountains of Central Asia. 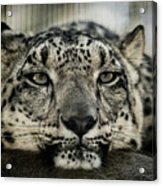 POPULATION STATUS VULNERABLE: Herders and their families also live in the mountains that the snow leopards occupy, and they depend on their livestock for food and income. Snow leopards will occasionally attack and kill livestock and farmers will resort to retaliation killing or poaching of snow leopards to protect their herds and earn extra cash. There are several conservation programs working to educate farmers with incentives to break this cycle of poverty, with the goal of protecting the snow leopard, local wildlife, and ecosystems so everyone can live in harmony.